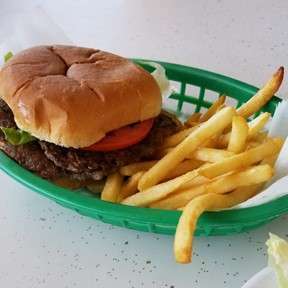 Taylor's Drive In + Jamaican Patty Co.
Andy and Dan discuss storied burger joint Taylor's Drive In, one of Springfield's longest-running restaurants, a fact the contemplation of which leads one of the guys into a mild existential crisis. They also review the relatively new Jamaican Patty Co. for an extended segment of What Chu Eatin', and share some thoughts on food in horror movies during a brief Halloween-themed Movie Meals. Help us get to 1673.76! Share the show with a friend!